Along the great joys of welcoming a newborn into your family comes the lingering stress related to what to name them, especially if your family and relatives are all already eager to find out what they will be able to call the baby when they arrive on this world. And if you haven’t decided yet, it only means that your relatives still have plenty of time and opportunities to suggest names that you may or may not like as well, but don’t despair! We come to you with a compilation of the most popular baby names for 2019! Predicting baby naming trends can be a hit or miss usually, but luckily we know what to keep in mind and where to orientate ourselves towards in order to figure out the most trendy upcoming names. With that being said, take a look at our list below. Celebrity power couples have, and always will have a great impact on the baby naming trends. People look up to celebrity couples, regardless of their field of work, because they inspire the people through their displays of affection, loyalty, success as a couple, and they gain the respect (or ire, depending on the case) of the mass. Regardless if it’s a couple of actors, pop stars or politicians, celebrities manage to maintain their place in the spotlight for relatively solid periods of time throughout a year. However, the longer they keep that attention on themselves, the more chances they are that they will inspire new parents to name their child after them. Remember when people started naming their kids Brangelina? Well, it seems like it’s not as extreme now, at least the celebrities’ actual couple name haven’t been a trend anymore. So when it comes to celebrity power couples, it shouldn’t surprise you when names like Justin or Hailey start popping up again, especially due to the exposure gained after they became Mr. and Mrs. Bieber in 2018. The contrary, actually, you should expect to see a sudden influx of those names, and the trend will most likely last at least until the middle of 2019. More naming options feature Chrissy (Teigen) and John (Legend) after they had their second baby in 2018 and their names started picking up popularity again, alongside the names of their kids even: Luna and Miles. Another power couple we predict will influence the naming patterns of 2019’s kids are Priyanka and Nick after the two tied the knot with not one, but two grand weddings that just blew us away in awe, to be honest. Another certain trend is naming your newborn after your favorite artist, be that a musician, an actor/actress or any other Hollywood personality. Most of the time, it stars on the rise that falls under this category, but it’s not unlikely for stars who are returning to the spotlight to make an appearance on the names list as well or those who publish another piece of work after a period of time or after hyping it up. As such names like Twenty One Pilots’ Tyler (with an actual 24 percent of popularity increase) and Josh seem to be on the rise again. Ariana Grande’s first name is moving up the ladder too. As very much anticipated, the royal wedding has had the majority of us tuning in to watch and have our breaths taken away by the whole event. The royal family’s increased exposure in the media helped push the name Meghan with 48 percent higher in the top of names, and now with her announced a pregnancy, whatever name will be chosen will have a great impact on parents all across the globe. Not only that, but The Duke and Duchess of Cambridge also pushed the name Louis up with 17 percent after the birth of their third child in April, and it’s very likely that his middle names, Arthur and Charlie, will become more popular as well. 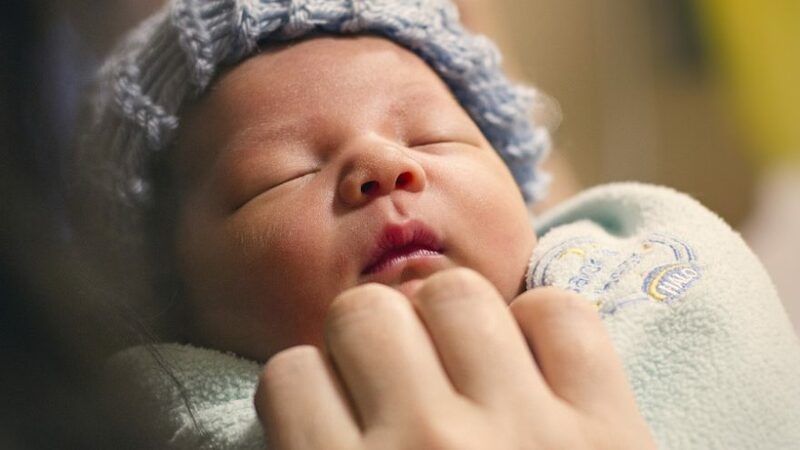 There’s a huge recent rise in unisex names being used for newborns, and with an increase in gender swapping among names, more and more are easily becoming unisex with use. The name Elliot (and other spelling variations) is the biggest on rising, followed closely by Max, Riley, and Blake with increases in popularity of over 27 percent. Nickname names fall in the same category, also becoming more and more trendy, and Mike and Theo lead the way into the new year, followed by Liam and Frankie. While 2018 has been a tumultuous year for Game of Throne fans, the show has definitely left its mark in people’s lives, especially after everyone managed to get attached to several characters, then got to mourn them, and then went through the same emotional rollercoaster once more with everything that has happened in the show. As a result, names inspired by certain characters are on the rise, such as Arya/Aria, Lianna, Khaleesi, unsurprisingly, and their actresses have also been the inspiration of baby names, where Emilia, Maisie, and Lena lead the polls. Aside from that, with all the recent show and movie releases across platforms like Netflix and Hulu and with them gaining popularity, character names will just keep popping up and climbing the popularity ladder as shows become more popular. What’s more, with the recent release and hype of Marvel and DC movies, superhero and antihero names are climbing the charts as well, with Peter and Diana as the most popular ones so far. In the same branch are animated character names as well, who are regaining popularity once sequels to their animation movies are released, or once book characters manage to be pictured on the TV screens too. Names like Elsa will be picking up popularity as well, and so will Beatrix (and spelling variations, such as Beatrice, Beatris and even nicknames derived from it like Triss or Trix will become more popular once more), especially after “Peter Rabbit”’s debut on the screens, following Beatrix Potter’s children’s book. Archie is also a name on the rise, inspired by the comic The Archies and the TV show Riverdale at the same time. Parents who already have a child or more, who know the struggle of going through a routine of having to watch the same cartoons every day, are also more prone to name their child after cartoon characters, be it their own initiative or their child’s suggestion, but it certainly puts names like Chase (the dog from Paw Patrol) more out there as well.